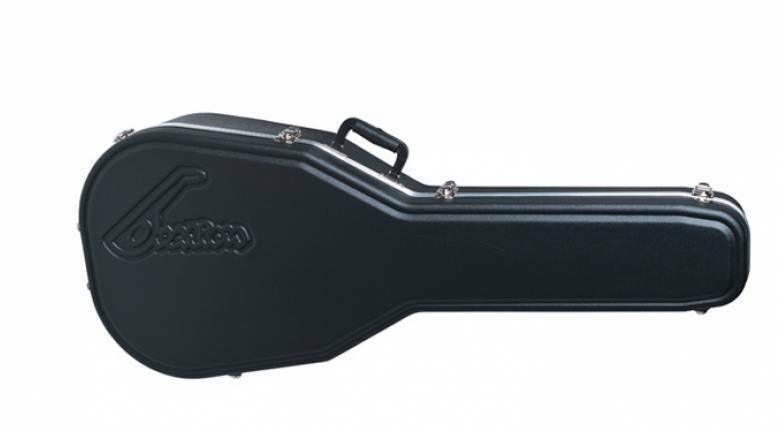 The Ovation 8117 Molded Guitar case fits super shallow roundback acoustic guitars. Features a molded shell with a shock absorbing structure for superior protection. The inside features a plush lining to protect your guitar's finish. Other features include aluminum valences, heavy duty hinges and drawbar latches.